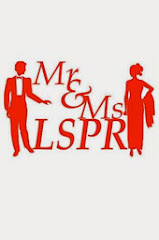 It was the first time Mr & Ms LSPR 2013 finalists publicly greet other students and asked everybody to support them to become Mr & Ms LSPR Favorite. On that day, all finalists gathered at Campus B cafetaria. The MC of the event was Okky Alparesi and Louise Geertruida who was crowned as Mr & Ms Congeniality 2012. The finalists introduced themselves to others and surprisingly a lot of supporters came to support their favorites. The finalists were also given a question each and they have to present the answer to the audiences. They also had to try to persuade the audiences to vote, some of the finalists sang for the audiences, some of them created poems, and also reading some meaningful quotes. Here are some pictures taken on that day.